The deal Texas Motor Speedway and the National Rifle Association reached to call next month's race the NRA 500 is not sitting well with U.S. Sen. Chris Murphy. Murphy, who has been at the forefront of the national discussion on gun violence prevention in the wake of the school shooting at Sandy Hook Elementary School in Newtown in December, is asking NASCAR to reconsider. The Connecticut senator sent a letter to Brian France, chairman and CEO of the National Association of Stock Car Auto Racing on Thursday, urging him to reconsider the financial agreement that makes the NRA the title sponsor of the NASCAR Sprint Cup Series race on April 13 in Texas. 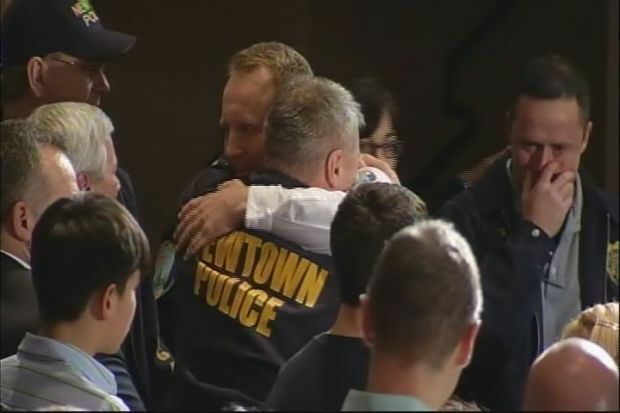 Sandy Hook first responders, teachers, and others who have suffered the effects of Post Traumatic Stress Disorder are getting some much needed help. This race comes just weeks after NASCAR honored Sandy Hook during the Daytona 500 with a green and white 26 car decorated with a green Sandy Hook ribbon and instructions on how to donate to the Sandy Hook Support Fund. "It's not about politics. It's about sports marketing," Texas Motor Speedway president Eddie Gossage told The Associated Press on Monday. NASCAR said in a statement on Monday that "race entitlement partnerships" are agreements directly between the track and the sponsor though NASCAR reserves the right to approve or disapprove those sponsorships. 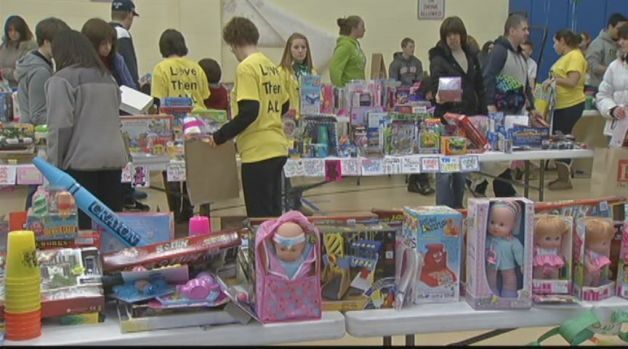 Newtown officials on Sunday began distributing the thousands of toys and other items donated to the town after the tragedy at Sandy Hook Elementary School. "The race sponsor for Texas Motor Speedway's April event falls within the guidelines for approval for that event," NASCAR's statement said. But Murphy is hoping NASCAR reconsiders. “In light of your extensive charitable work and generosity to the Newtown community, I hope that you will reconsider affiliating with the NRA at this time,” Murphy wrote. Wayne LaPierre, the NRA's executive vice president and CEO, said he was excited about the deal in a video message played during the track's media day. On Monday, it was reported that NASCAR and the Texas Motor Speedway had just completed a deal to make the National Rifle Association (NRA) the title sponsor of a NASCAR Sprint Cup Series race on April 13th—the NRA 500. As a U.S Senator representing the community of Newtown, Connecticut, I write to you today to ask that you reconsider this decision. After the horrific mass shooting in Newtown, Connecticut, which claimed the lives of 20 children and six educators, the NRA has taken an unprecedented extreme position in the debate over the proper response to this tragedy, placing themselves at odds with the overwhelming majority of the American people, and even their own members. Given the emotional state of the national conversation, I believe it would be imprudent for NASCAR to step into such a heated political debate and take sides in this debate by allowing the NRA the title role in the race. NASCAR has a long history of supporting our troops, our children, and our communities, and your racing events attract fans from across Connecticut and the country. I also know how deep your own commitment to the Newtown community runs—your donation of $50,000 to Sandy Hook School Support Fund is the very example of NASCAR’s commitment to community. And less than two weeks ago, one of the cars at the Daytona 500 advertised a way to donate money for the Newtown community, and was dubbed #26 for the number of lives lost on December 14th. But by giving the NRA sponsorship of a major NASCAR race, NASCAR has crossed a line – you have decided to put yourself in the middle of a political debate, and you have taken a side that stands in opposition to the wishes of so many Newtown families who support common sense gun reform. Whether or not this was your intention, your fans will infer from this sponsorship that NASCAR and the NRA are allies in the current legislative debate over gun violence. By announcing this new partnership at the very height of Congress’s deliberations over gun reform, NASCAR has inserted itself into a political debate that has nothing to with the business of NASCAR. To me, this seems an unwise break with precedent. This tragic event has led many individuals and organizations to re-evaluate their views towards guns. Millions of Americans, including responsible gun owners, have resolved that our nation must do more to protect our children and citizens from gun violence. Reasonable measures that are being considered in Washington have widespread support. Consider that 92 percent of Americans, 91 percent of gun owners and 74 percent of NRA members support proposals to require background checks for all gun purchases. Yet, instead of playing a constructive role in this debate, the Washington-based leadership of the NRA has become more radicalized. For example, in 1999, after the horrific shooting at Columbine High School, NRA Executive Vice President Wayne LaPierre gave a full-throated endorsement of universal background checks. Yet, after Newtown, the NRA reversed their position, testifying recently before the Senate Judiciary Committee and the organization now opposes this proposal. Furthermore, over the past two months my office has released a series of reports looking at the NRA, its sources of funding and its agenda on the state and federal levels. The findings may surprise you and make you reconsider their sponsorship. The NRA increasingly relies on support from the firearms industry, including manufacturers of military-style assault weapons that have been used at Newtown and other mass shootings. The NRA also pushes an extreme agenda in state capitols across our nation. Defying common sense the association has backed laws that allow gun owners to bring concealed weapons into bars, restaurants and sports stadiums. In possibly the most egregious example, the NRA supported an Indiana law that proscribed when an individual can use force, including deadly force, against a police officer. NASCAR has historically been careful not to insert itself, and its hard-earned good reputation, into political and legislative fights. Why then, start now? 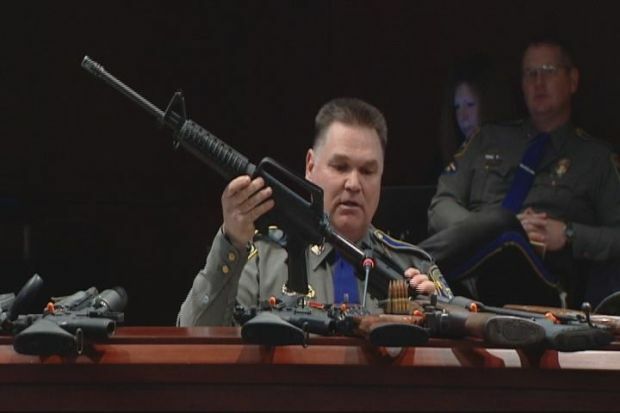 Why take sides against the families of Newtown, Connecticut, by teaming up with the NRA in the middle of an intense legislative fight over gun laws? In light of your extensive charitable work and generosity to the Newtown community, I hope that you will reconsider affiliating with the NRA at this time. Thank you in advance for your consideration.